November 1, 2015 October 22, 2015 Amanda B. 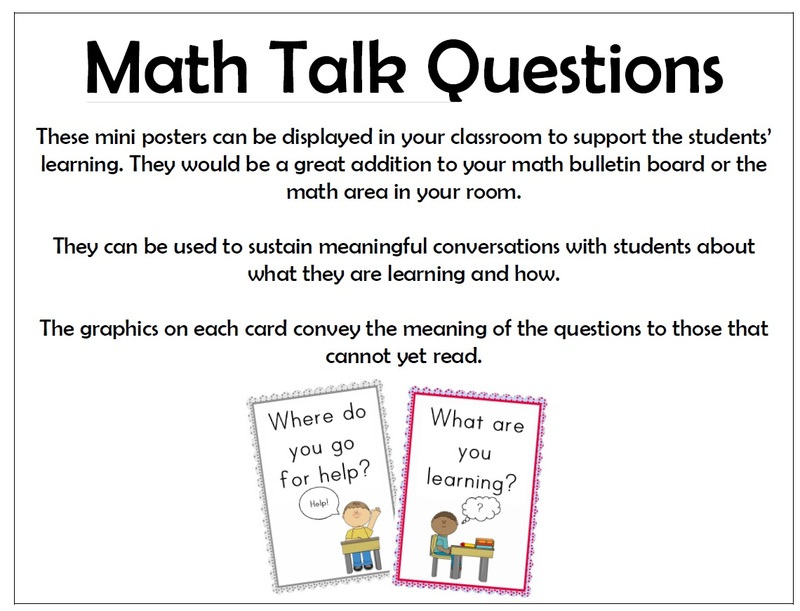 Administration recently asked us to post Math Talk Questions in our classroom to support the students’ learning. 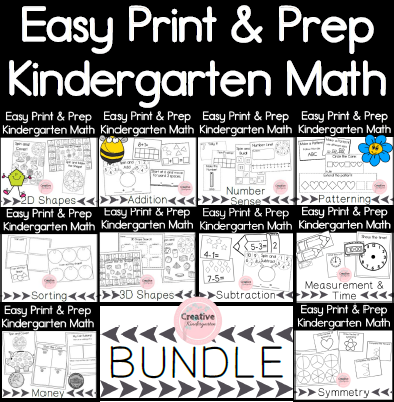 I wanted to make sure that whatever is posted in the classroom is useful to the children and is appropriate for a kindergarten class, therefore, I made these mini-posters to put with our math bulletin board. The questions are accompanied by a picture to ensure that all children are able to use them, even if they are not reading yet.